Cindy Kane began her career editing children’s books, rising to the position of Editorial Director at Dial Books for Young Readers. The last book she edited at Dial was the 2001 Newbery Medal winner, A Year Down Yonder by Richard Peck. 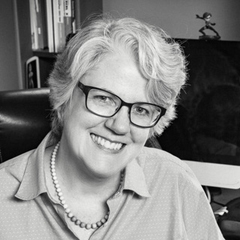 She has been an editor in educational publishing since 1999, working at Pearson Education, Achieve 3000, and Mondo Publishing. Since 2012, Cindy has been a curriculum supervisor at the K-12 educational developer Six Red Marbles. Under her married name, Cindy Trumbore, she writes children’s fiction and co-writes nonfiction picture books that include the 2014 Sibert Medal winner, Parrots Over Puerto Rico.